The Grundy Art Gallery in Blackpool shows a year round programme of contemporary and visual art exhibitions and events. Including solo and group exhibitions together with talks, workshops and educational activities. Open 2019 showcases the work of artists living and working on the Fylde Coast and working in any media.  Including audio, video, painting, sculpture, textiles, ceramics and more. Aiming to make the exhibition as open as possible is unselected, with works being hung in the date order in which applications were received. With a year on year increase in the number of submissions, this year’s Open 2019 looks set to be Grundy Art Gallery’s most popular yet. Eligibility: This opportunity is available to Fylde Coast residents with an FY postcode. Residents at the edge of the Fylde Coast boundary with PR3 or PR4 postcodes may also be eligible and are encouraged to contact the gallery to check eligibility. There is a nominal £5 entry fee for administration. Please note a submission limit of only one artwork per artist to enable the work of as many people as possible to be displayed. Why don’t you enter next year? Tina Dempsey’s exhibition continues Grundy Art Gallery’s programme of solo exhibitions by artists living and working across Blackpool and the Fylde Coast. Comprising of new work made specifically for this opportunity, the exhibition is an examination of Joy; exploring what it is, how it makes us feel and what triggers it. The exhibition seeks to stimulate and capture Joy as a sensation, pausing it and allowing it to be examined closer. In her work, Tina Dempsey explores the social, physical, architectural and emotional resonance of the spaces we occupy; documenting and dissecting these experiences through drawing, painting, printmaking and collage. IMAGE: Work in Progress © the artist. Grundy Art Gallery is delighted to present the work of pupils aged 5-14 years of age from seven schools across Blackpool and the Fylde Coast. Taking inspiration from Emilios Hatjoullis’ drawing called Blackpool 2068, as well as other artworks that formed part of the Grundy Art Gallery’s Autumn 2018 programme, pupils have taken part in exhibition tours, talks and workshops led by Grundy Art Gallery’s Education Officer and locally-based artist, Lisa Wigham. Pupils were asked to imagine their Blackpool of the future and produce a poster to tell that story. 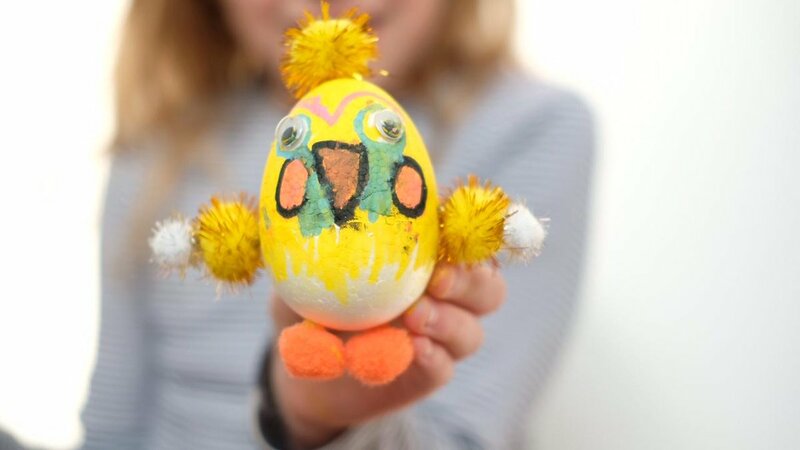 This year’s participating schools are: Our Lady of the Assumption Catholic Primary School, Moor Park Primary School, Highfurlong School, Thames Primary Academy, Kincraig Primary School, Hodgson Academy and Hawes Side Primary School. To celebrate its 135th anniversary, Grundy Art Gallery has invited The Blackpool Art Society to present an exhibition of work from its current membership. Alongside this, a selection of works made by and/or donated to Grundy Art Gallery by John and Cuthbert Grundy will also be shown. 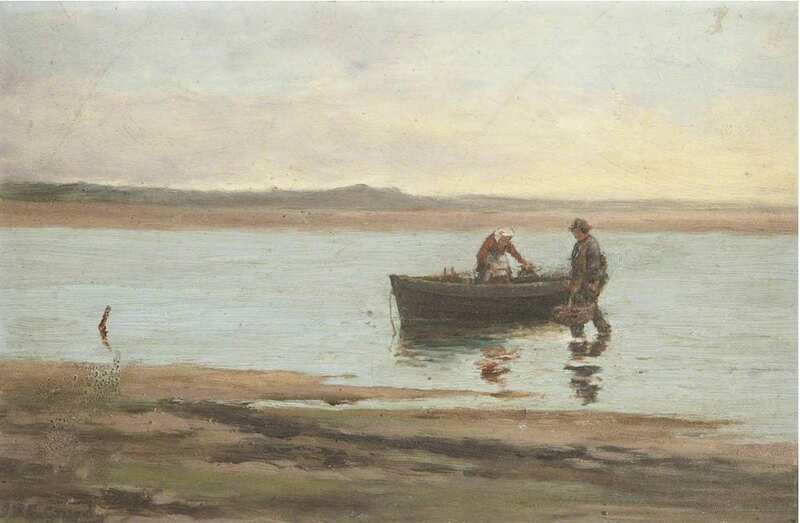 As well as being founders of Grundy Art Gallery, John and Cuthbert Grundy also had a long-standing relationship with The Blackpool Art Society both as members and past presidents. Exhibiting their work as part of this exhibition recognises some of the impacts that the Grundy brothers had on the artistic community of their time as well as highlighting their ongoing legacy in the form of the Grundy Art Gallery and its collection. IMAGE: John Relph Greenhow Grundy (1841–1915) Coastal Scene with Figures, 1937. © Grundy Art Gallery Collection. Blackpool Council. We’ve been having a stock inventory and now we’re having a sale on old exhibition catalogues: some a low as £5! The gallery shop is open 10am – 5pm, Tues – Sat alongside our exhibitions! Have you been and looked in the Grundy shop? It specialises in artist made jewellery and organises small spotlight exhibitions of emerging and established designer/makers. It also stocks arts journals, exhibition publications, creative toys, and greetings cards. In November 2017 the Grundy Art Gallery named Paulette Terry Brien as the gallery’s curator. Paulette has more than 25 years of experience working within contemporary visual art and is well known for raising the profile of the North West region on a national and international level. 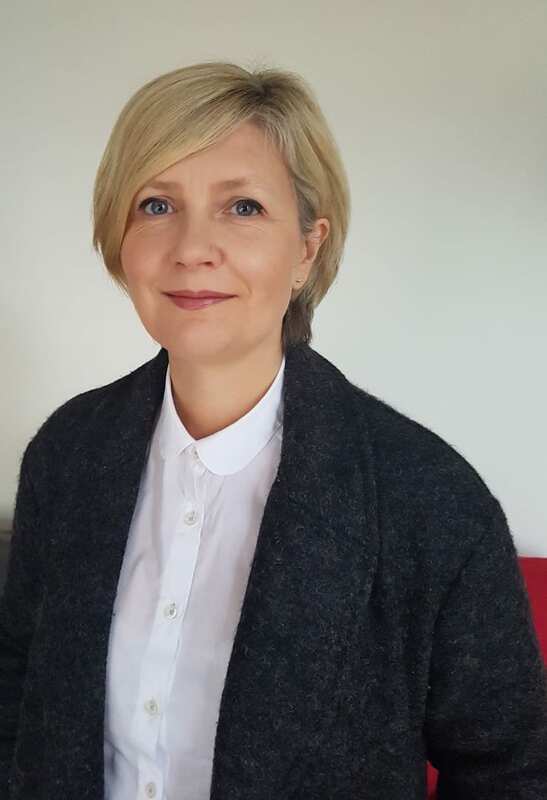 As co-founder and co-director of The International 3, a contemporary art gallery based in Salford, Paulette delivered a year round programme of exhibitions and events and has been instrumental in developing projects such as Manchester’s annual contemporary art fair, The Manchester Contemporary. Paulette comes to the Grundy with a strong track record of identifying and nurturing emerging talent, commissioning and curating high quality contemporary art exhibitions for both gallery and non-gallery settings. Over the years, she’s utilised her wealth of experience to support hundreds of emerging artists, many of whom have gone on to achieve regional, national and international recognition. As well as providing peer support, Paulette has also been successful on many occasions in brokering the acquisition of work by regional artists into major public and private collections, such as the Arts Council Collection and Whitworth Art Gallery’s collection. Paulette said she was thrilled to have been selected as the new curator of the Grundy and is keen to continue to champion regional artists from the North West. Blackpool Council’s Grundy Art Gallery was awarded £80,000 in 2016 by the Art Fund to buy new artworks around the theme of light. The Award is part of the Art Fund’s £400,000 ‘New Collecting Awards’ programme which this year saw six awards given to museums around the British Isles. The £80,000 award to Grundy Curator Richard Parry was the joint highest sum, with the same amount going to curators at the Royal Pavilion in Brighton and at the National Galleries of Scotland in Edinburgh. The idea of the awards is to invest in the development of promising curators at early points in their careers across the UK. Through the scheme, museum professionals are each given a budget to pursue a completely new avenue of collecting in their institutions. Five out of six of the awards were presented to support contemporary art collecting. The scheme not only benefits the museums’ collections, but helps the curators to learn at first-hand about the process of making great acquisitions, and contribute significantly to their professional development. The award follows in the wake of the success of ‘Sensory Systems’, the widely praised exhibition which saw international artists display spectacular works exploring the connection between light and sensory perception this autumn, to coincide with the Illuminations. The award is a significant boost for the gallery, which has seen a doubling of audiences through the light strand of its programming and follows a further award from the John Ellerman Foundation, supporting new work with the collection, which has enabled important behind-the-scenes improvements including the employment of a new Collections Manager. 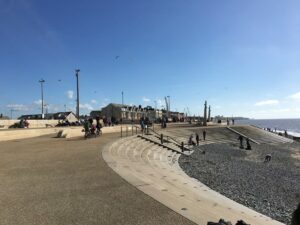 “Blackpool is in many ways the ‘home’ of light in the UK because of the Illuminations, and this is a huge endorsement of the cultural significance of light in the town. Nowhere in the country currently focusses on light in this way and we’ve seen a fantastic response to the exhibition Sensory Systems which has shown there is an appetite for international artwork of this kind here. A key exhibit in one of Blackpool’s most successful art exhibitions in recent years has been acquired as part of the Grundy Art Gallery’s permanent collection. 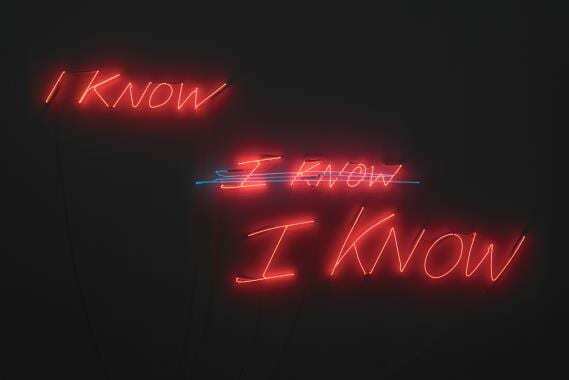 ‘I Know I Know I Know’ by Tracey Emin was displayed as part of the recent NEON: The Charged Line exhibition which ran from September last year until January. The acquisition is the first made by the gallery using funding from the Art Fund’s New Collecting Award, their scheme that enables curators to pursue new avenues of collecting for their museums. They granted curator Richard Parry £80,000 to purchase key artworks relating to light. The work was recently displayed at the gallery in NEON: The Charged Line, a major success with both audiences and critics which traced how artists have worked with neon since the 1960s. The exhibition saw Emin alongside other stars including Joseph Kosuth, Fiona Banner, François Morellet and Keith Sonnier and coincided with Blackpool’s famous Illuminations’ LightPool project. Emin, who is well known for her work with fabric, embroidery and installations including the notorious ‘My Bed’ which was displayed as part of the Turner Prize in 1999, has also established a reputation for her evocative and emotionally charged work in neon. 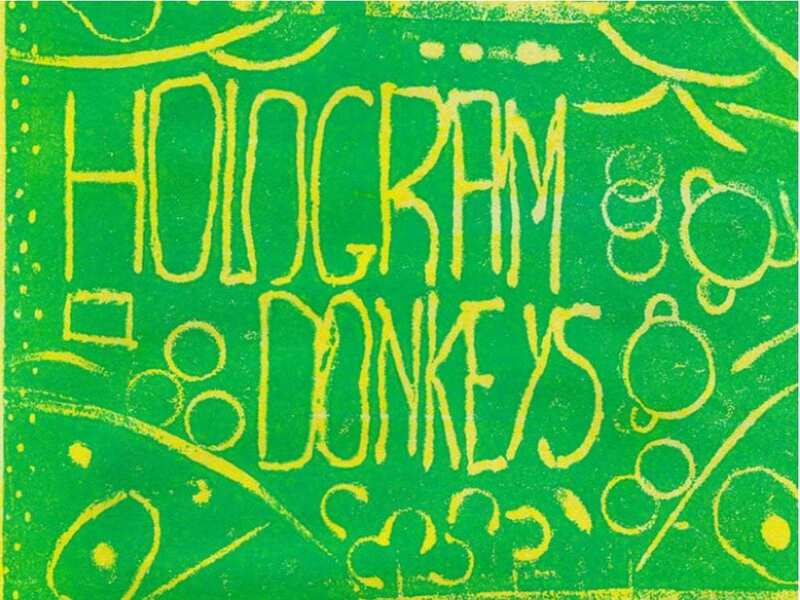 The artwork the Grundy has purchased, titled ‘I Know I Know I Know’, is from 2002 and is one of the earliest works in neon undertaken by the celebrated artist of the so-called “young British artist” generation. The acquisition marks the first purchase made possible through a New Collecting Award from Art Fund, and also sees additional support from the John Ellerman Foundation. Over the past decade the Grundy has established a reputation as one of the North’s leading centres for contemporary visual art, undertaking ambitious exhibitions which explore the relationship between art and popular culture. Through the light programme and the expansion of the light collection, the Grundy is looking to become a national centre for artists working in the medium, alongside its wider programme. Emin’s work will be shown alongside other recently acquired artworks as part of the Blackpool Art Fayre. 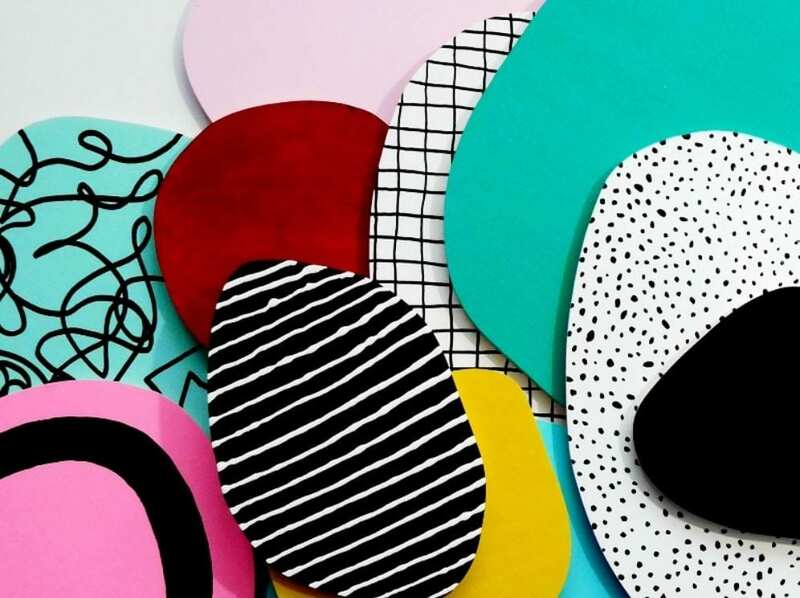 The exhibition also includes works by internationally renowned artist Yinka Shonibare MBE and 2017 Fourth Plinth Nominee Heather Phillipson, as well as emerging and more established artists from across the North West and the wider UK. All the works have been purchased with the assistance of external grants, awards and support. 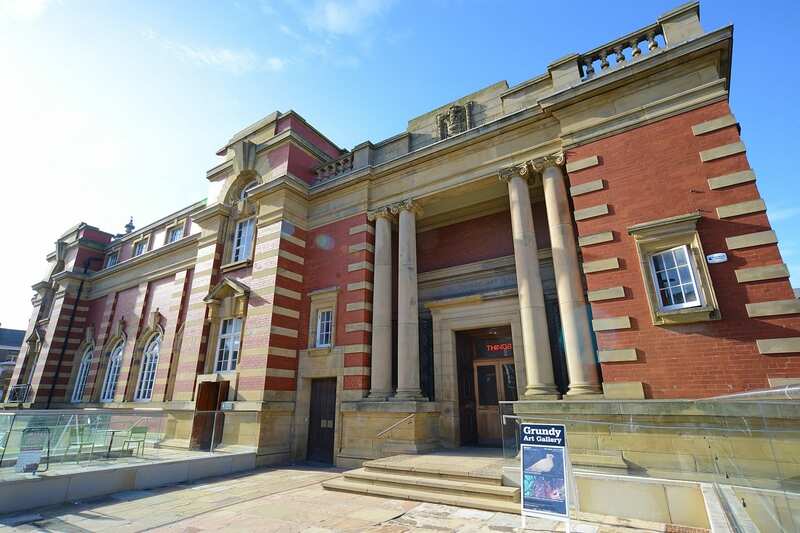 Grundy Art Gallery is Blackpool’s art gallery and offers a year round programme of contemporary and visual art exhibitions and events including solo and group exhibitions together with talks, workshops and educational activities. The gallery is housed in a Grade II listed Carnegie building and has a collection that was founded in 1908. Today the collection includes works by established artists such as Martin Creed, Tracey Emin, Laura Ford, Gilbert and George, Brian Griffiths, Augustus John, Haroon Mirza and Eric Ravilious. It also has works by regionally based emerging talent such as Joe Fletcher Orr and Louise Giovanelli. The Grundy Art Gallery was founded in 1908 by the brothers John and Cuthbert Grundy, and has been at the centre of cultural and artistic life in the town for over 100 years. It began with the ambition to show the best art of the day to the people of Blackpool, and this sentiment remains at the heart of what we do today as a leading contemporary art gallery in the North West. The Grundy aims to inspire audiences through an ambitious and varied year-round exhibitions programme that draws on the unique and invigorating context and heritage of Blackpool, for instance exploring the space between contemporary art, entertainment and popular culture. Recent exhibitions have featured works by celebrated and critically acclaimed artists including Martin Creed, Brian Griffiths, David Hockney, Pierre Huyghe, Heather Phillipson, Susan Philipsz and Matt Stokes. The gallery has a growing national and international profile and has recently worked with key partners such as LeftCoast in Blackpool, and other institutions such as BALTIC, the British Council and the Hayward Gallery. The Grundy provides a key space for residents and visitors in which new ideas and ways of imagining the world can be tested and explored, and where resonant encounters can occur between art and audiences. We undertake special programmes tailored for individuals and groups including schoolchildren, young people, families and senior citizens, enabling people of all ages the chance to engage with and discover for themselves the art on display and the imaginations behind them. Our exhibitions and displays frequently incorporate pieces from our collection, which was started with a bequest by the founding brothers and contains an eclectic range of art and other items from furniture to ceramics, to netsuke ornaments to Victorian oil paintings. Artists include Craigie Aitchison, Ruth Claxton, Martin Creed, Laura Ford, Augustus John, Eric Ravilious and Gilbert and George amongst others. Grundy is part of Blackpool Council’s Arts Service, which develops and delivers arts projects which engage Blackpool’s residents, communities and visitors in the arts, supports the town’s arts community, placing the arts the core of Blackpool’s unique and important cultural environment. 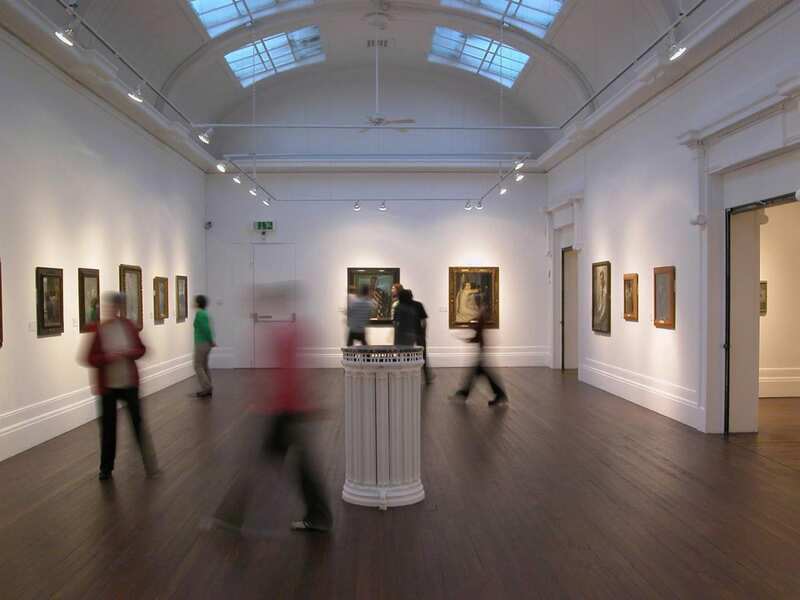 The gallery is an Accredited Museum and also receives funding from Arts Council England as a National Portfolio Organisation and from the John Ellerman Foundation. Grundy is a leading contemporary visual arts venue in the northwest region. It is a Grade II listed building situated in the centre of Blackpool. Its stunning Edwardian architecture hosts an extensive programme of temporary exhibitions including contemporary, modern and historical art, featuring established and emerging artists, as well as displays from its permanent collection. HUGE thank you to everyone who came to the drop-in workshops today! Seniors Lytham and St Annes shortlisted for an Award!